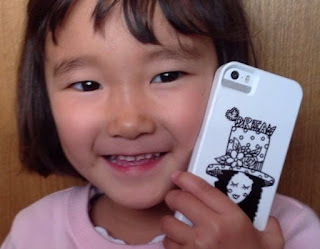 Kristin Loya Illustration: DREAM phone case! A fan in Japan sent this cute photo!! Get yours now at www.society6.com/kristinloya .....they ship international! DREAM phone case! A fan in Japan sent this cute photo!! Get yours now at www.society6.com/kristinloya .....they ship international!